There are 24271 posts in this topic. You are on page 316 of 486. A really fair price including postage to the UK thanks Brian!! THANKS SO MUCH for all the positive feedback I've gotten for about the design. It was truly one of my favorite projects ever. Despite immense verbal insults/ frowns/ and general naysayery from my buds in the league, looks like my se with shaker and pdi glass will be sent end of August. So they are for-sure offering real pdi/roman glass as an option now? I recall there was some mixed info about this back when Andrew was around so i would love to know if it got sorted out. 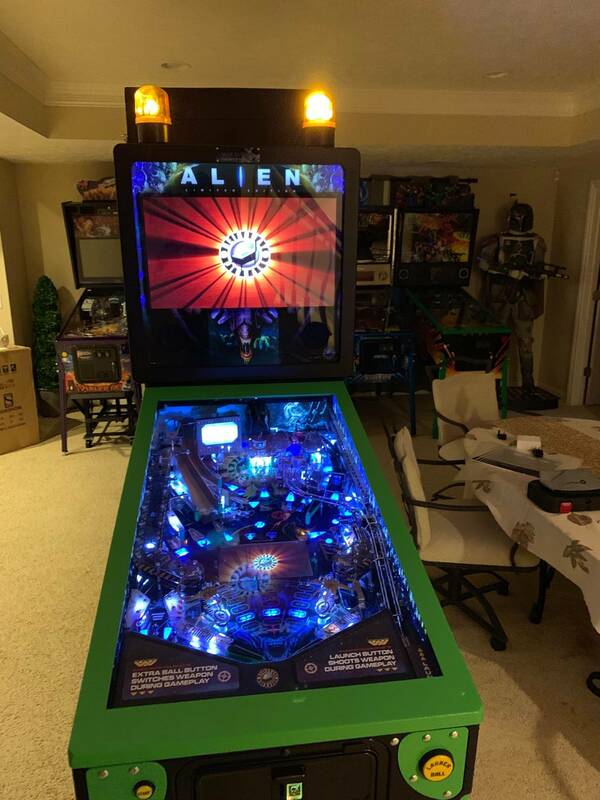 Need a re-review of Alien from a recent owner. People aren't going to start buying in quantity unless they hear that any lighting or xeno head issues have been resolved. Yes, how were the CoinTaker machines? Holy Hell. In the UK, Home Leisure Direct price is now £9000 for an LE if you want the 27" screen in. Wow, that is an increase of almost £2K from what they had it up for before the Heighway fiasco! Even the basic SE without the 27" screen or any other additions is now £7499 which is £350 more than the LE WITH the 27" screen used to be! I think that is going into the too rich for my blood territory..
Won't sell many here in that case! I was thinking of picking one up, but no longer, I can get a Houdini from Phil for £6,999! And the frustrating part of this for me is that I've offered to PAY for parts and shipping. So what's the holdup!?!?!? - Fix All Out War not qualifying after all requirements met. - All Out War insert now lights after it has been played. - Ball search outside of a game, or while tilted, will not display a message now. - Updated burnin test to activate more coils, similar to a ball search. - Ignore some spurious switch activity during bonus, while queued up display effects drain out. - If a spurious switch occurred at game start and validated the playfield, this would lock in your choice of which movie mode to play. This is now changed so that the movie is not locked in until launch is pressed, or until the right inlane is triggered. - Fixed some system display effects (which use the blue test mode background) from not showing correctly while a video was running. In particular this bug was hiding the volume adjustment screen sometimes in attract mode. - Increase main HSTD table to 5 entries, and added more team members' initials onto the defaults. 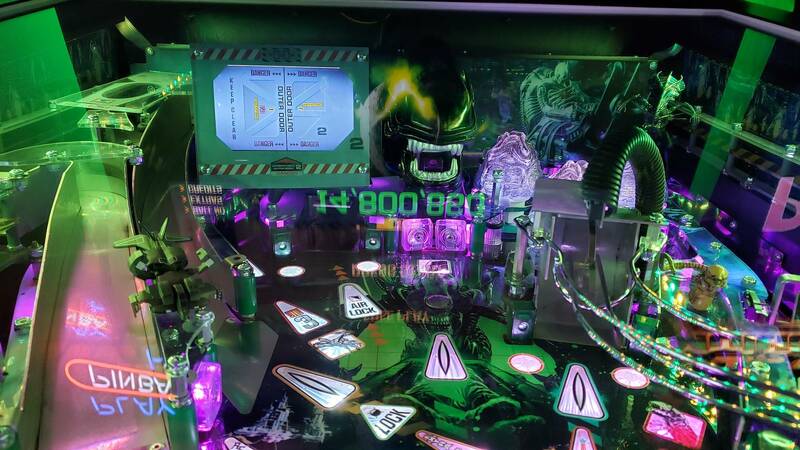 - Multiball grace period now pauses while ball is being held up (for example, while the Mother award is being announced). 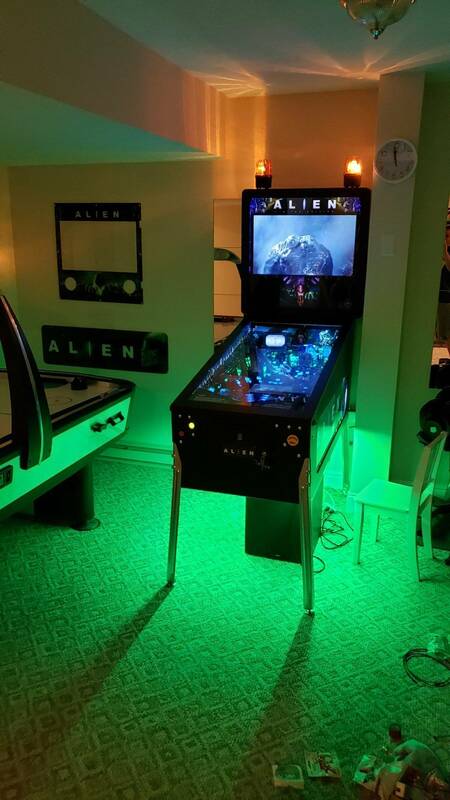 - Add multiball resurrection rules. Starting Sentry Guns will now restart any other multiball that was in its grace period. Likewise, starting any other multiball will now resurrect Sentry Guns from its grace period. 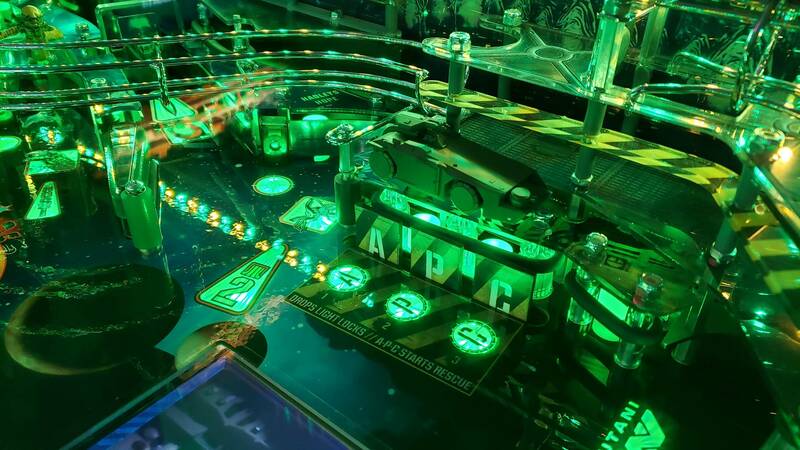 - Mother add-a-ball award now resurrects any multiball(s) in its grace period. - Fix occasional pauses at endball before bonus started. 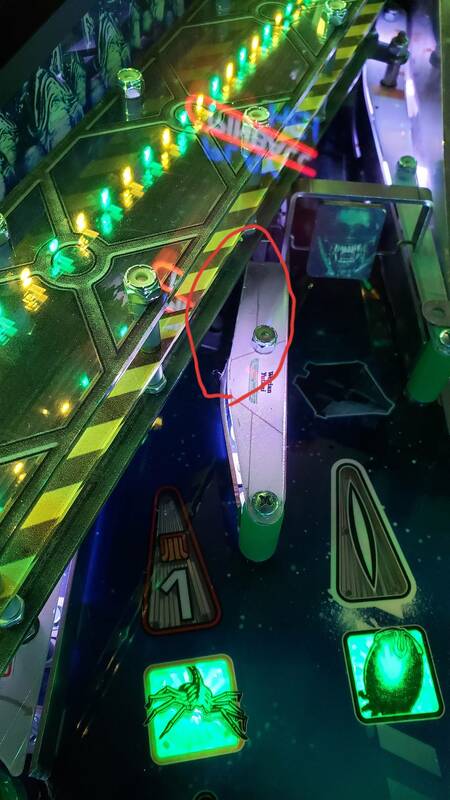 - Fix centre ramp not spotting letters towards SHIP if double scoring was already running. - Boosted priority of beacon effect during wizard modes, so that it is not interrupted as often. 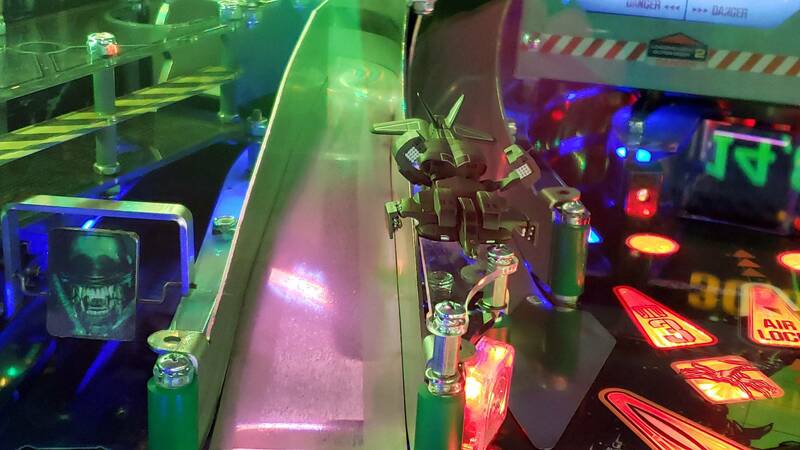 - Adjust scoring for Sentry Guns to prevent some outrageous scoring possibilities. - Ambush jackpot value now increases gradually as you progress through Lifecycles, rather than increasing all at once when a Lifecycle is finished. - Added Scene Start Difficulty adjustment. Default now lights the scene start for free at the beginning of a game. - Derelict Ship shots are now indicated by the main arrows, not the symbol inserts. - Fixed lamp effect for combos lit disappearing on ball launch. - Revive lamp effect increased from 1 sec to 2 sec. - Improved sound on ball kickout from the airlock scoop. - Added new callouts for "mode not ready". - Added audio and more lighting effects with more progress towards Ambush MB. - Added callouts for Chestburster Combos. - Added new pop bumper sounds and mode fail sound to Derelict Ship. - Modify timing for callouts related to xenomorphs hits remaining for Ambush. 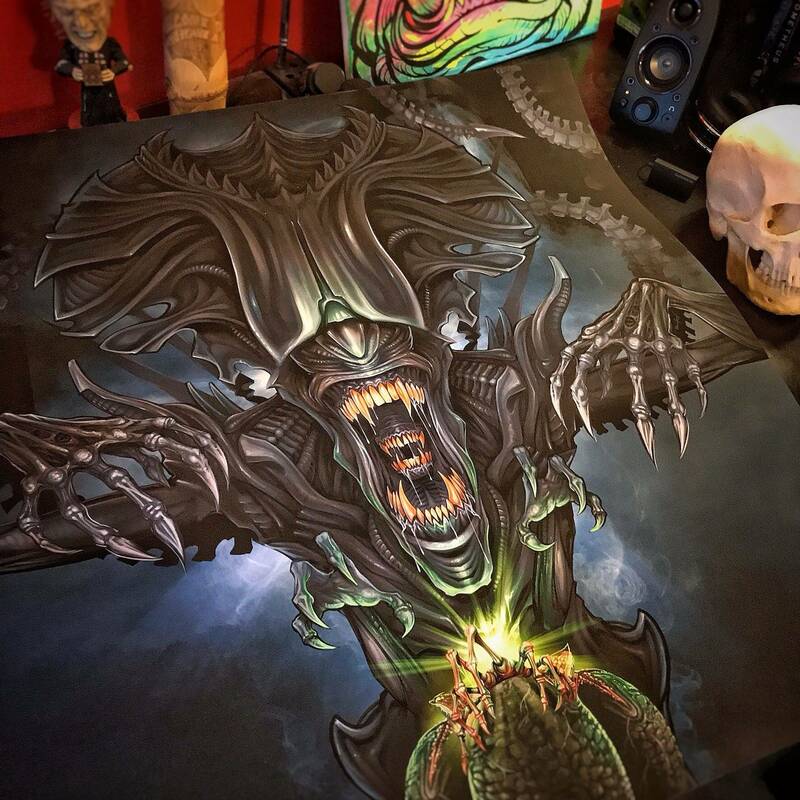 Based on his workflow video, it looks like there is an original hand drawn piece of artwork that is scanned in and worked over digitally with the software. That's a massive update. Good to see progress here too. Both are working great in mine. I would suggest getting an external powered subwoofer because the one in the machine doesn't do it justice. However, it could just be I am configuring something wrong. daudioguy specifically did the audio so it would have extra pizzazz with an external subwoofer. 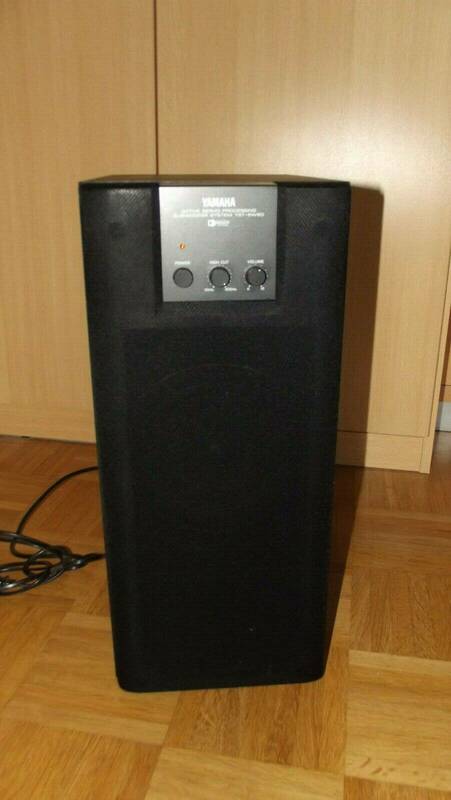 Does anyone have a good but on the cheap suggestion for an external subwoofer to buy? Yep....by far the best "bang for your buck" in a pinball sub. They can also handle two machines simultaneously. Thats going to be a great update! Nice post; I liked your video. I have never seen a piece of art in stop motion like that before; very cool. That looks really sharp! Is it a custom color or does it have a name/designation? I suspect it'll be a while before I can get one of these bad boys. But, if I was to do custom powder coating, I think that'd be the color I'd want. Can you tell us the color codes. That looks badass! Nice job. Wow wow wow libtech! ....just Wow! That looks freaken awesome mate! Q: Will the LE really get a glossy cabinet (like mentioned in the featuresheet)? If yes, is it possible to change the order to get a matt cabinet aswell? 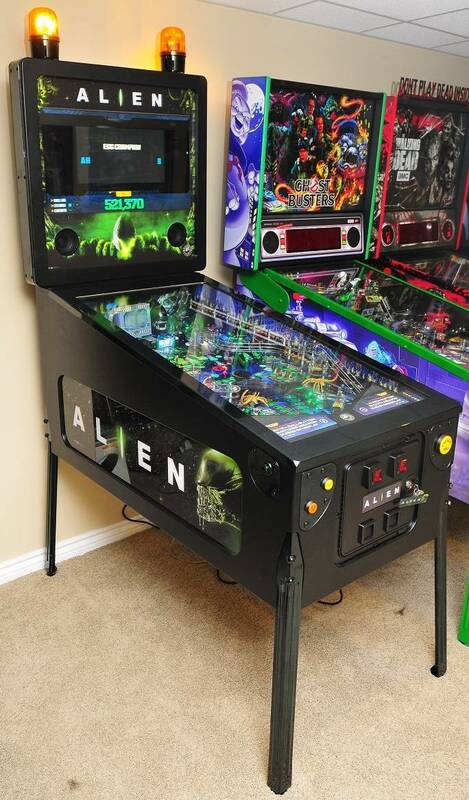 A: The cabinets for all versions of Alien Pinball are with a matt finish and not a glossy one. We did in the past have a glossy finish to the cabinet but we came to the same conclusion that you have and thought that the matt finish was a better fit for the theme. Q: Will there still be three trim-options: green, blue or black? Is the black LE-trim glossy aswell? 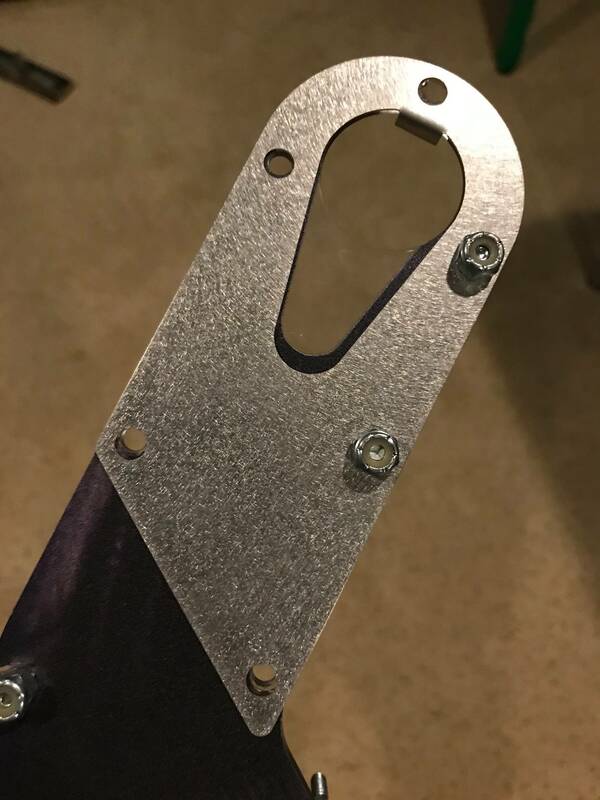 A: We are still offering the three trim options and these will also have a matt finish. Q: How about the fibre-optic ramp lightning? Will they come with the LE? If yes, will the colour fit the theme like blue or green (in Andrew´s video it was pink)? 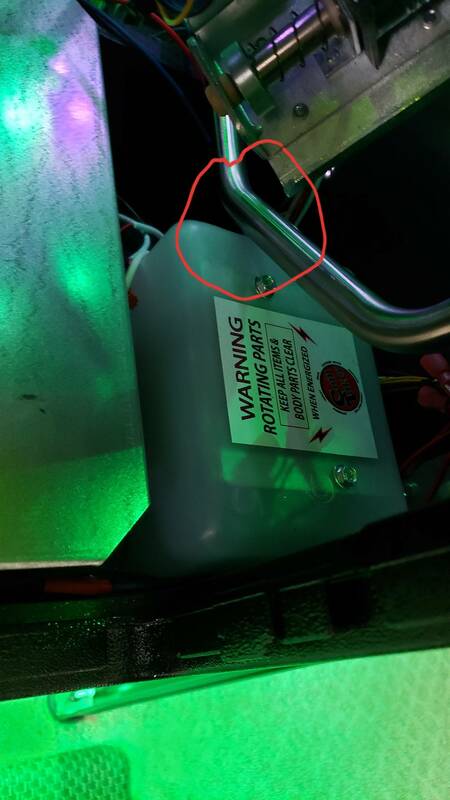 A: The fibre optic ramp kit maybe removed from the machine because we have had many customers who say that it not a good fit for the machine and the theme. When this decision is final we will inform all customers of the outcome. A: Will the standard-artwork be included (SE sides and backbox)? Q: As an LE customer you will receive both art packages from the SE and the LE. Q: Is there anything else new or different to the already announced LE-features? A: In regards to your question if there have been any new features added to the machine there have been some improvements. As I have stated we may be removing the fibre optic kit from the machine and we would replace this for customers if we do indeed decide that this is the case. 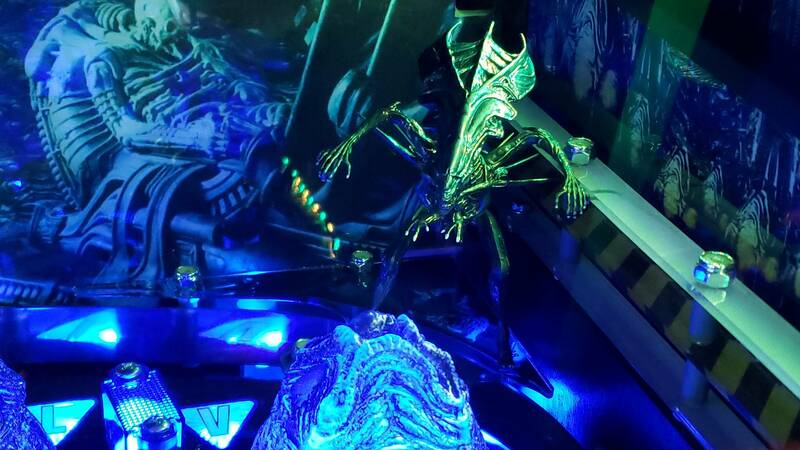 In terms of improvements we have made a lot of improvements to the functionality and the build of the Xenomorph head mechanism.We have also made many improvements in the software of the machine. Q: Will you offer a factory-installed playfield-protector as an option? A: In answer to your question about the installed playfield protector I am unsure about this option but I can find out for you. Happy waiting to all of you and have a great weekend! btw: Big "thanks" to Morgan for this great customer support! Would be interesting to know if they will decrease the price if they going to remove the fibre optic ramps ..... I guess it was a add on of nearly 600 USD (within the LE package) compare to SE. 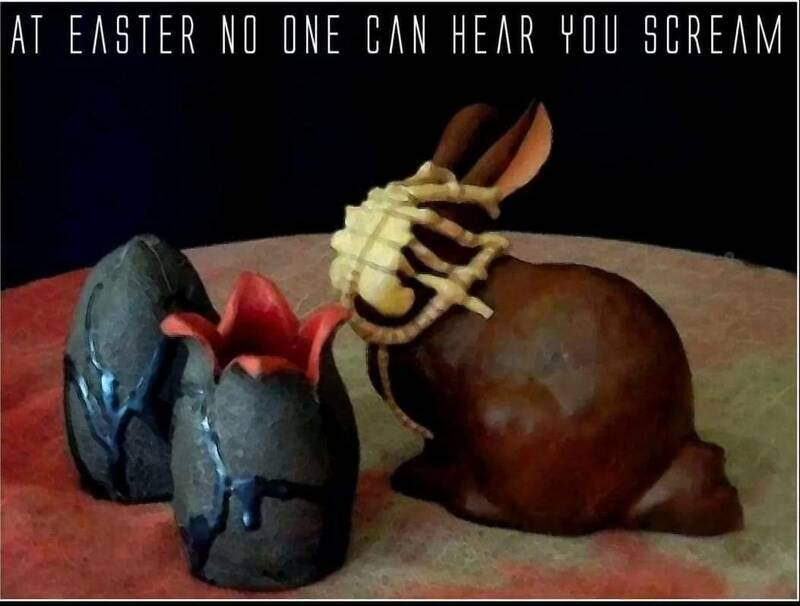 Alien inbound! Just got off the phone with the shipping company and it is scheduled for delivery Monday afternoon. Is that one of the CoinTaker machines? 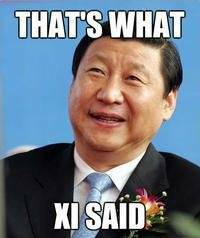 Yes it is from CoinTaker. 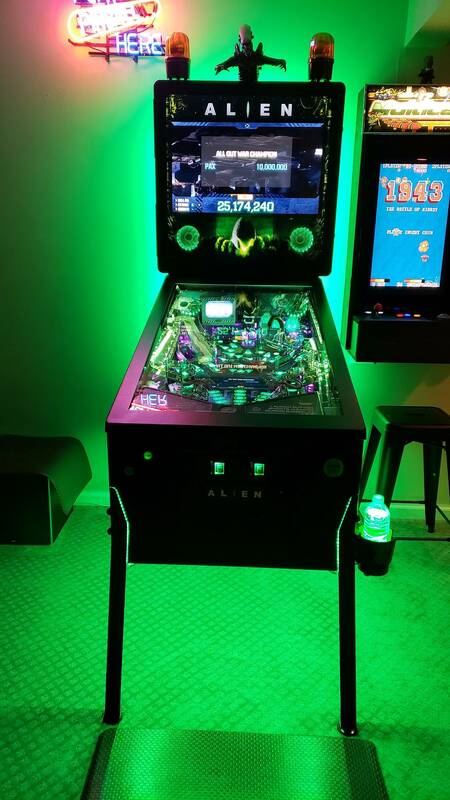 Aug is the month that we should see some real progress, 4 machines to cointaker means nothing, I'm hoping by sept 1st there are at least 100 Alien SE out there, working well and pretty much bug free. If so I will put money down on a SE but thats what I need to see. Is a Box Opening Event in our future?? I'll take some pics and the post them up. Going to get it setup in the garage before it goes in the house. Just easier that way with the moving cart. We just got one locally on location at Pocketeer Billiards in Buffalo NY. Have you played the machine? We need evidence of these machines performing well on location to demonstrate the reliability of the current production. Thanks guys, you have no idea how many colours I tested before I got the blend right. You found the perfect color for that machine IMO! OH MAN! Thanks so much everyone for the positive feedback about the backglass art! We've only got about 20 prints left after just a day (limited to 100)- I'm just blown away by how fast they went! 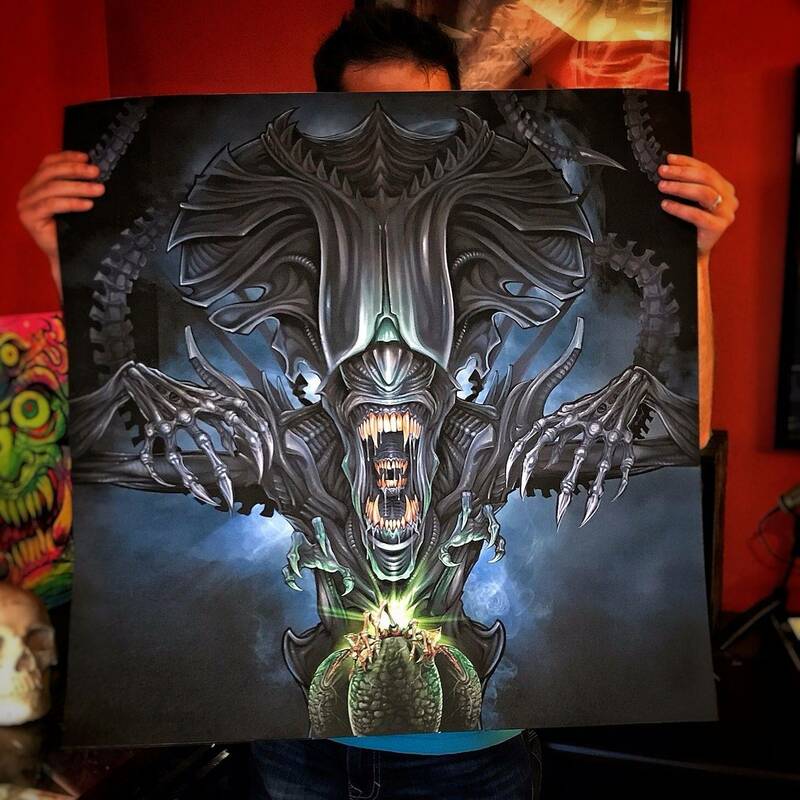 If you still want one, you can grab them from my website http://www.flylanddesigns.com/shop/ for $38 plus shipping. 28" on high-quality matter paper shipped in a tube. International shipping. THANKS FOR THE KIND WORDS!! ryanstl joncrox valgalder ezeltmann joelreeves ! Yes, the finished design was drawn digitally on a tablet display monitor called a Wacom Cintiq with a pen. Something like this would either have to be done digitally or airbrushed on paper. Since we only had a few days to complete this, airbrushing wouldn't have made sense. The drawback of painting digitally, of course, is not having an original on paper. But I did start this as a concept on paper with pen and marker - I'll have to dig that up sometime and share it with you all if there's interest. Again - HUMBLED everyone, thank you! Can't wait to get the tube! Hey!....that don't sound right! Let me clarify. The speaker in most pinball cabinets is not a 'subwoofer'. At best it is a left/right mono mix coming through a 6-8 inch speaker trying to push audio through a metal plate with holes in and sometimes additionally through wood slots. This driver is pointed at the floor. It produces low midrange and high bass audio. To be fair there are a few machines with better stock cabinet speakers. The Dialed In speaker is a dual-coil wonder driven by both channels of a stereo amp. I am speaking about the average pinball cabinet speaker. A real subwoofer's contribution is usually 80-160 Hz which (for those musically inclined) is the bottom octave where thumps and bass drums live and there is little overlap with the cabinet speakers output. Most games have some content down there and a subwoofer will make those real (for better or worse). At the beginning of 2016 I added a subwoofer to my studio so that I could review the content that I was creating down there (knowing that some home owner were enhancing their pins with subwoofers). It is easy to put unintended content down there that isn't appropriate at the time and could even be distracting. 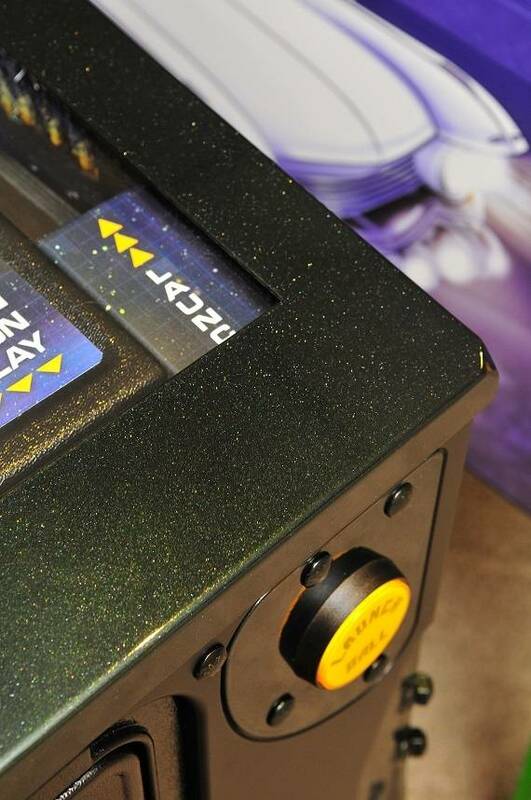 Both Alien and Dialed In have had the benefit of audio design with a sub-woofer in mind. There are times in both sound packages when booms and frequency swoops and other spine tickling content are present that should make a scoring event or mode completion that much more tangible. It takes a little more effort but for those who avail themselves of it they will be rewarded. I hope this clarifies this issue. Audiophiles....lock and load. Great to hear! Glad they worked that out. This! As someone with an LE on order, this makes the math not work out. I will expect a price reduction or a credit towards other upgrades (I would settle for a 28" monitor instead). I don't have the screen grabs or my numbers around anymore but it wasn't a cheap upgrade for the fiber when I was doing the math to decide which to buy. Can you tell us what the ideal crossover settings for the sub are? I don't have the screen grabs or my numbers around anymore but it wasn't a cheap upgrade for the fiber when I was doing the math to decide which to buy. It was $800 to add it to the SE. So yeah, sort of a double price increase for the LE if you're buying now and a single if you're not. I say sort of because I'm sure some people may look at them removing a feature differently than others. I didn't really care for them anyway. Checked out all your work, Brian, and your humbleness, is appreciated, but perhaps a bit misplaced. 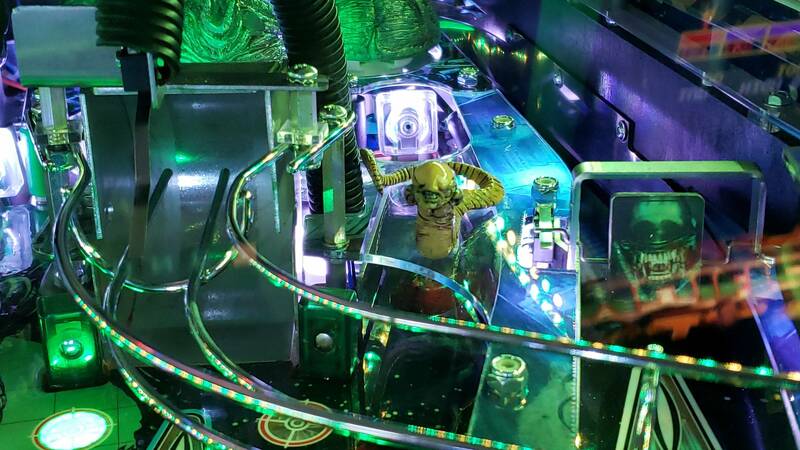 You have a rare talent, with attention to detail, and its a Joy to see such quality art come forth in the Pinball Hobby. I/We, Appreciate what your skills have brought to all of Us! I will need to measure that. It will differ from pin to pin. I have an Alien loaner currently and I have not gone through the ordeal to bring it down to my studio where I would evaluate the HP sound system. Ideally I would have done that at the 50% completion point in the project when I get the whitewood to work on. But as may be obvious by now, not very much of the development process of this project has been "ideal". Frankly, I am very proud of the current state of rules, video, graphics and sound integration. It is very good and very playable. Once all the devs have machines it will only get better, but it is worth your time and money right now. As for the cutoff point it is a little bit audio engineering and a little bit personal taste. I don't think I would make it higher than 200 Hz but how high the volume of the subwoofer is turned up is a more significant factor in your sub-woofer experience. Some folks like their chest cavities moved by external forces. Impressive work you are doing!!! I'm an A/V systems integrator ( now) for a living, but a pure pro audio guy at heart. 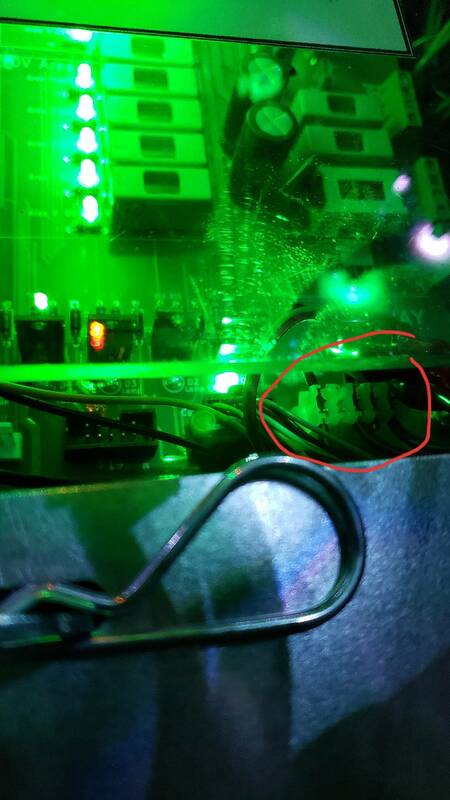 I've always been convinced there is enough volume on the inside of a pinball cabinet that, when coupled with the right LF driver ( even the 8" variety), low pass filter ( butterworth 12 around 160hz. 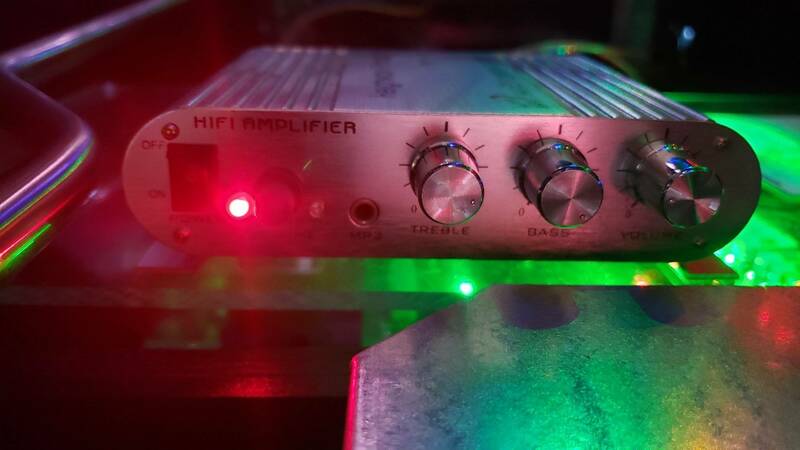 ), and correct amplification, you could create substantial bottom end. The "baffle" config wouldn't be a factor, as the wavelength would be far too long. 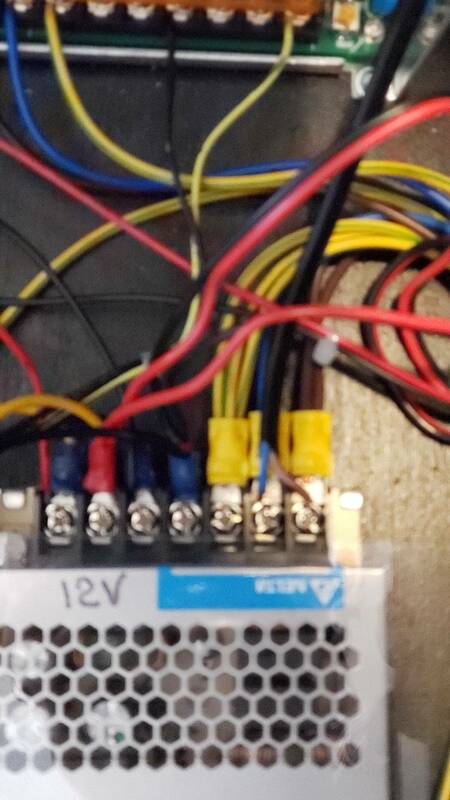 Ultimately ( for me) started feeling like work when I drew it up ( which is what I avoid when playing pinball), and realized a cheap, powered external sub would do the job, as my approach would be much more expensive. Hence, abandoned the idea. I appreciate someone of your caliber caring about the audio in these machines....in truth, it's been one of the more neglected areas of the experience until some machines as of late ( just imho)...THANK YOU!!! !